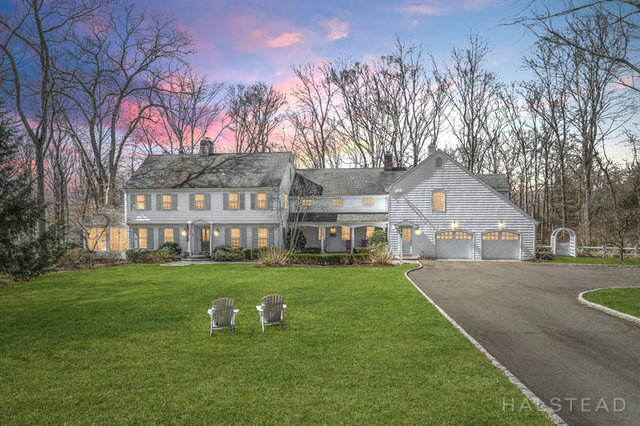 Classic Connecticut Colonial Charmer! This light, bright and extremely spacious home is set back off the road in scenic back country Darien on a gorgeous and lightly wooded private lot. This well-appointed home has incredibly spacious rooms and a fabulous flow with room for everything you need. The first floor features a formal living room and dining room, large eat-in kitchen, family room, den and sun-room as well as an office. Upstairs there are 5 spacious bedrooms (with California closets) including an extensive master suite with nursery/gym. An upstairs play room/craft room completes the package. Incredible amount of storage in attic and water-proofed crawl space. Generator and Invisible fence. This house is not to be missed!